A beat-up aluminum suitcase may be the trademark of a seasoned traveler, but there’s a difference between weathered and dirty. While you might want your luggage to show off how far you’ve traveled, you don’t necessarily want it showing how poorly you take care of it when you’re not on the road. 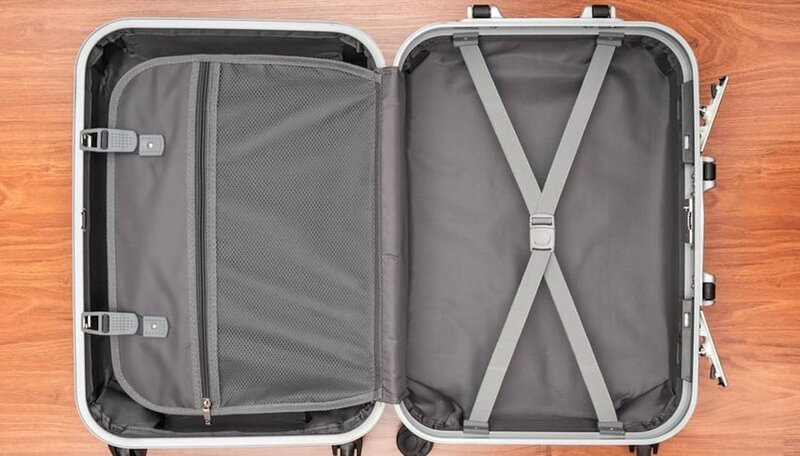 If you’ve ever wondered how to keep your luggage in tip-top shape no matter where it is, it turns out it may be simpler than you think. As the outside of your luggage is, well, the outside of your luggage, it’s the part that's the most likely to get dirty. Exactly how to clean it depends on what your particular suitcase or travel bag is made out of, so we’ll break it down by a few common types. No matter what, make sure to keep the handle of your luggage clean. This is the part you’ll be touching the most, so wiping it down with a disinfectant wipe every now and then can keep you free from germs. While metal or polycarbonate luggage is among the toughest variety, it’s also some of the easiest to show dirt or dust. 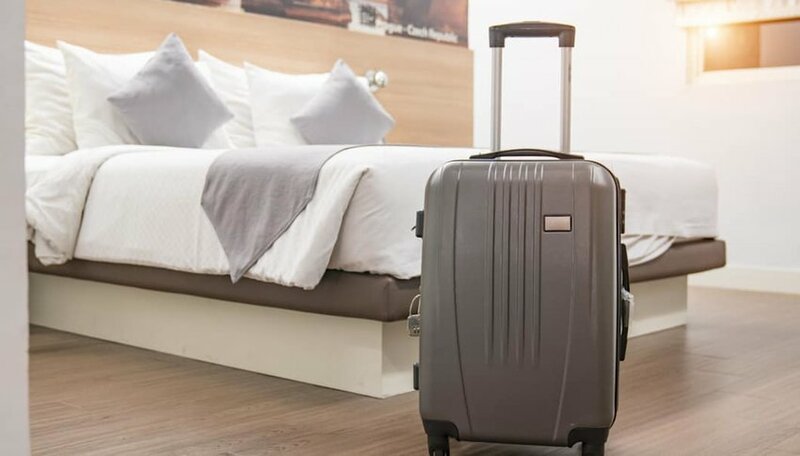 Fortunately, it’s as easy to clean minor dust and dirt off of this type of luggage as it is for it to acquire it in the first place. All you need is warm (not hot) water, mild soap, and a cloth or rag. Make sure to wash the entire surface, not just the dirty parts, otherwise you can end up with dark spots in the finish. Once you’re done, rinse off the soap residue with damp cloth. Follow this with a dry cloth to remove excess moisture, and you’re good to go. Nylon or polyester luggage is meant to withstand everything you can through at it while remaining lightweight and easy to haul, but it is also more of a dust magnet. Some brands will include a bag to cover the luggage when not in use to keep dust off. If yours didn’t come with a bag of its own, just use any bag that fits. Keeping this type of luggage covered is a big part of keeping it looking good as new. That said, if you need to wash it, all you need is a damp cloth or nylon brush. As with hard-shell luggage, make sure to clean the entire exterior, not just any dirty or dusty spots. Once clean, allow the luggage to dry. Take your time here. Don’t place it in sunshine to speed up the process, as this will cause the fabric to fade. 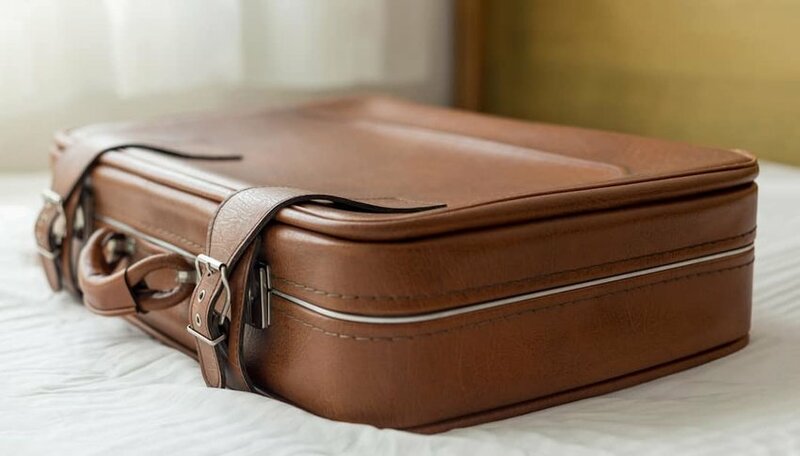 Leather luggage is meant to age in a way where minor signs of use actually compliment the look, rather than take away from it. If you do need to clean it, though, you can use a non petroleum-based leather cleaner. Just be sure to check that it doesn’t contain bleach, as this can damage the leather. This is one case where you don’t want to clean the entire surface, unless it actually needs it. Also be sure not to overuse the leather cleaner. Even if you do need to clean the entire bag, do it one section at a time, and make sure to wipe away any residue before moving on to a new section. If you’re just maintaining the inside of your luggage, a simple vacuum should be all you need to keep everything clean. Just be careful to remove everything from the interior first, especially smaller accessories or trinkets that could end up sucked into the vacuum cleaner. If you want to be thorough, make sure to check the pockets and various compartments and vacuum those as well. Sometimes a deeper clean is in order, whether due to a spill or just from being used over and over. If that is the case, you can use baking soda with a mixture of vinegar and water. This won’t do much to get rid of stains, but it will help remove any odors your luggage might have picked up over the years. Marks and scuffs will tend to happen far more with hard-shell cases like aluminum or polycarbonate. Fortunately, many of these are minor and can be easily removed. All you need is some spot remover or rubbing alcohol (use a lower percentage variety) and a soft cloth. Using gentle motions should be enough to rub most minor scuffs away. Avoid harsh cleaning agents like those that contain ammonia or acetone, and only treat the scuffed area. Over time, this type of luggage can start to look dull. Fortunately, this can be easily remedied with the use of a little furniture polish. Just polish the case as you would anything else and it should look closer to new in no time. When it comes to stains, the major thing to keep in mind is to prevent them from happening in the first place. If you spill a glass of wine on your luggage, for example, quickly dampen a paper towel — newspaper will work in a pinch as well — and wipe away the stain before it has a chance to set in. If you can’t do anything about it at the time, use a mild laundry detergent and warm water as soon as you can. You might want to test this on a discrete area first to make sure it doesn’t discolor fabric suitcases. Unfortunately, there may still be times in which you won’t be able to get your luggage looking as clean as you’d like on your own. In that case, you’ll have to turn to a professional cleaner. Hopefully though, after reading this article, you’ll have enough tricks in your arsenal to make that a rare occurrence.